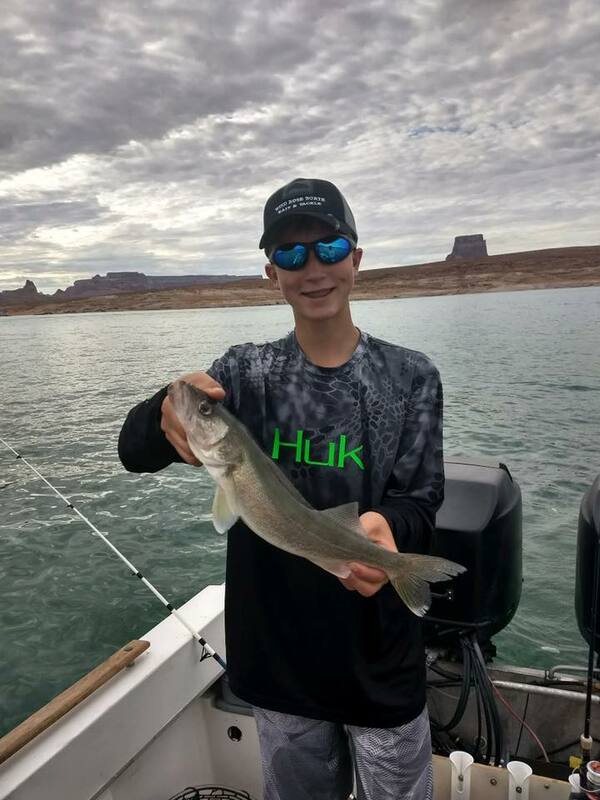 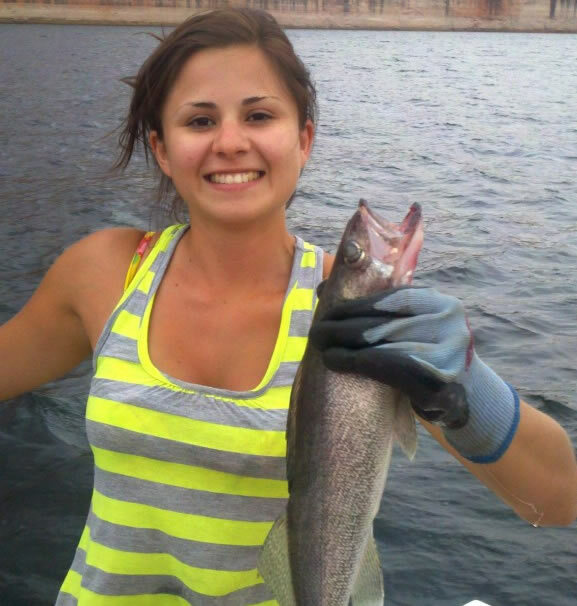 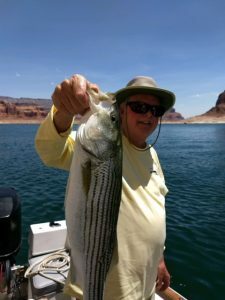 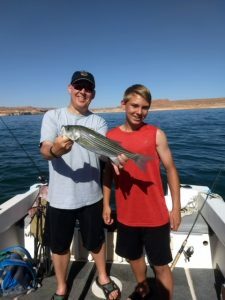 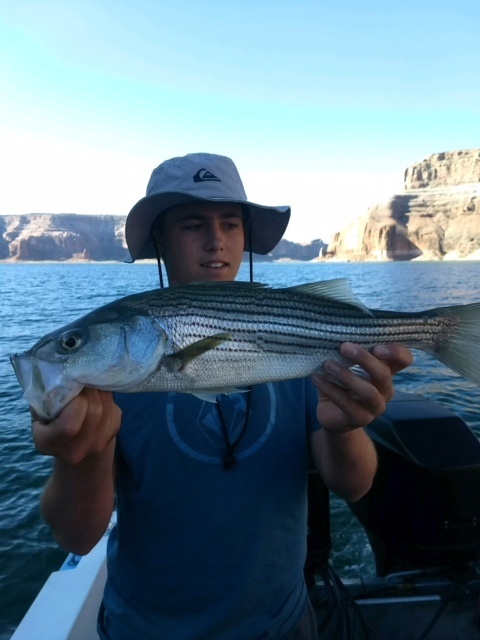 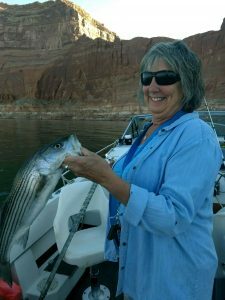 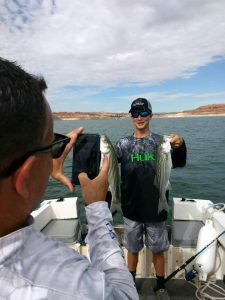 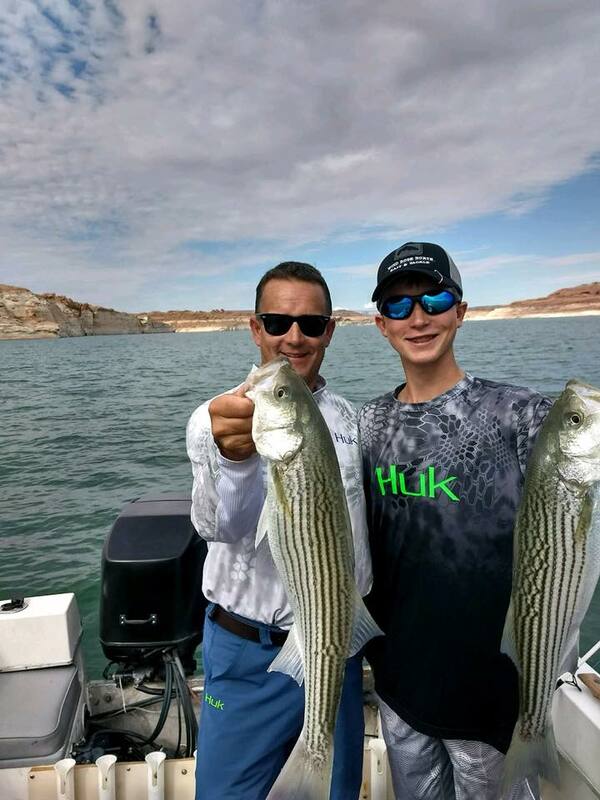 Lake Powell cont use it’s incredible great bite with 80+ water temps. 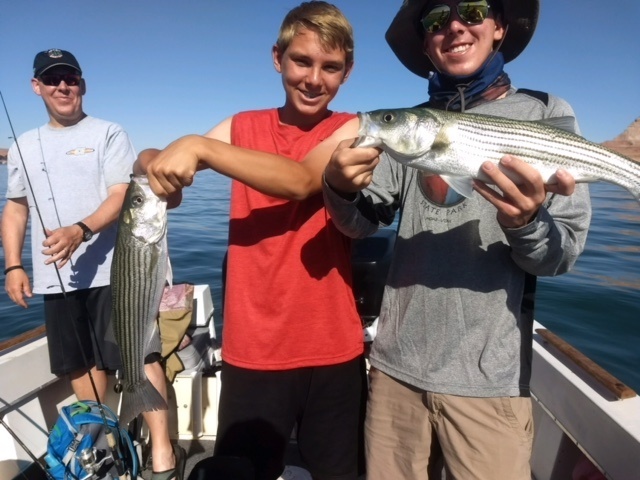 With some early morning site casting to swirling Striper or Bass for the accurate on target casters it’s a great start to the days fishing . 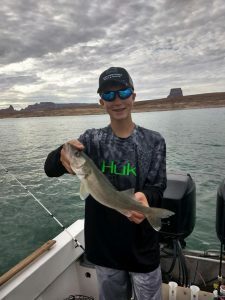 After the first daylight hour passes, we troll the broken rock type shoreline in the 20-60 foot depth range with deep diving shad lures chartreuse and white and purple for all species . If a large school is holding, we will jig and chum anchovies to try and excite the bite. By 11:00 you want to be done fishing due to boat traffic and noise and water still warming.